Note: You will use the same recipe for each batch of gummy bears. Just interchange the alcohol type. 1. 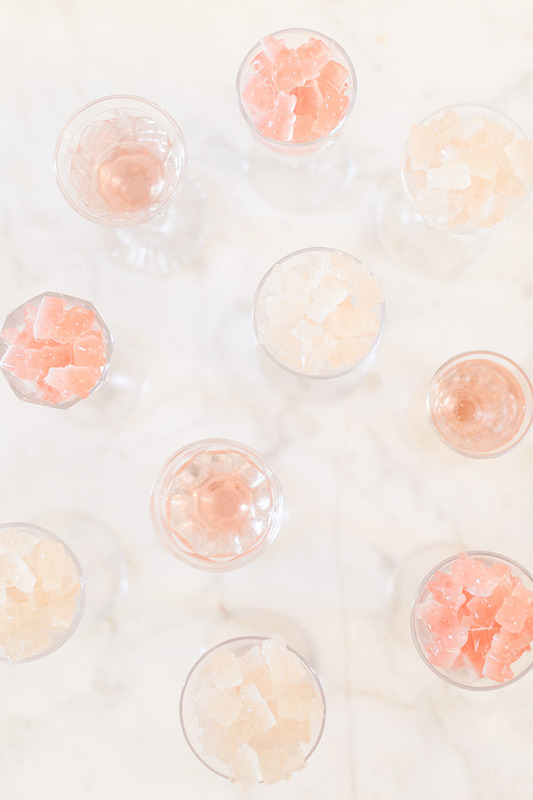 In a small saucepan, add liquid of choice (rosé, champagne, or even white wine). Sprinkle the gelatin (you don’t need to stir it) and let it sit and harden a bit. This will only take a couple of minutes at most. 2. Once it looks more like gel than liquid, turn on the heat. Keep your heat at low at all times. If it starts to boil, the alcohol will cook out and nobody wants that! 3. 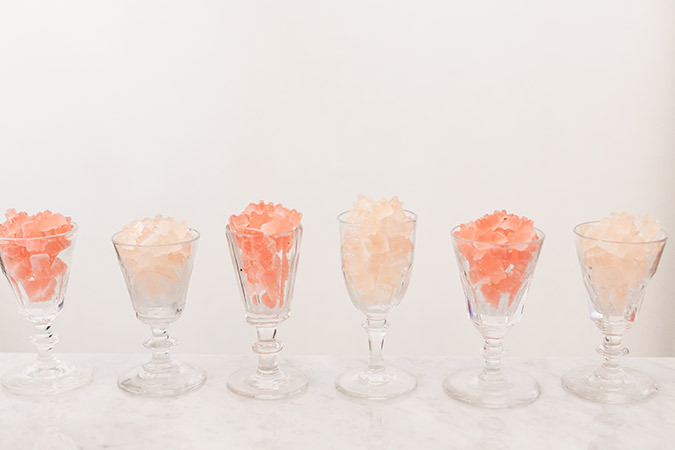 Whisk the gelatin and rosé/champagne until the gelatin is completely dissolved. Once dissolved, add in all your sugar. Continuously whisk on low heat until the sugar is completely dissolved. This takes no more than 5 minutes. 4. Once the sugar is dissolved, take the mixture off the heat and add in the extract or pink food coloring. Take a toothpick and stick it in the food coloring and add a tiny little dot. A little goes a long way in this case! 5. Add your mixture to a small measuring cup so it’s easier to pour. Pour into your gummy bear molds and use an offset spatula to scrape off any excess liquid. 6. Set in the refrigerator until the gummy bears are set up. This only takes about 30 minutes. 7. Pop the gummy bears out of the molds and enjoy! Your friends will be impressed that you know how to make your own gummy bears, that’s for sure! 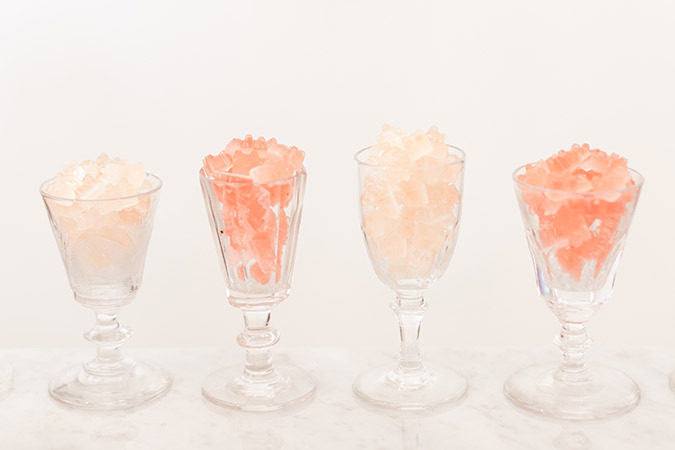 Will you be trying your hand at these champagne and rosé flavored gummy bears?